After an accident or injury, it can be difficult to move forward. For those who have suffered physical injuries, that time may be focused on medical care and recovery. For those whose property has been damaged, it can still be a difficult time as they scramble to manage the replacement or repair of their possessions. For everyone, it can be an emotional time, with the anxiety and stress of the accident still fresh in their minds. The last thing victims may want to think about is a lawsuit. However, it is important for victims to act in a timely manner if they wish to pursue legal action. The state of Georgia has placed time limits on how long victims have to file a lawsuit against those whose negligence or carelessness caused the accident or injury. These time limits are known as statutes of limitation. A statute of limitation is the time limit a plaintiff has to file a civil claim. These limitations exist to aid both sides in a civil lawsuit. For the plaintiffs, timely litigation helps to ensure the evidence is accessible and viable. 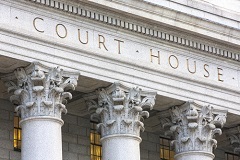 For the defendants, these statutes protect them from the threat of litigation hanging over their head indefinitely and prevent a plaintiff from acting slowly to garner more sympathy. Courts are typically very strict when it comes to statutes of limitation. If a plaintiff attempts to file a lawsuit after the statute of limitation has expired, the court will refuse to hear the case. The victim will not be able to pursue legal action at that point. Personal injury against a private citizen or business. In these cases, victims have two years from the time of the accident or injury to file a lawsuit. Personal injury against a government entity. If a claim is related to a government entity or has taken place on city, county, state, or federal property, the limitations are stricter. A victim may have as little as six months to file a claim. Additionally, lawsuits against the state of Georgia must be filed within two years and be preceded by the completion of special forms indicating the intent to sue. Property damage. Cases involving property damage must be brought before an appropriate court within four years. Minor children. In cases that involve minor children, the clock does not start running until the child turns 18 years old. Thus, if a five-year-old child suffers an injury, the child or his family would have 15 years to file a suit—until he was 20 years old, or two years from his 18th birthday. Discovery of a foreign object after surgery. When a surgical team leaves a foreign object in the body after a surgery, the victim has one year from the time the object was discovered to file a claim, regardless of how much time has passed since the date of the surgery. The discovery rule of product liability. In some cases, the statute of limitations can be extended to start the clock at the time the victim should reasonably have known about the injury or cause of the injury, rather than from the exact moment the injury occurred. Loss of consortium. This claim typically accompanies a personal injury claim, but victims have four years from the date of the injury in these matters. Related criminal cases. In cases where the defendant is being prosecuted for a crime related to the accident or injury, the statute of limitations runs for two years after the conclusion of the criminal case. These cases are unique, and each case should be evaluated by a skilled attorney with a thorough knowledge of personal injury and Georgia law. While typically the courts do tend to side with the victim if the time frame is in question, this is not true for all cases. If you or someone you love has suffered injuries due to another person’s carelessness or negligence, you may be eligible to file a claim. Contact the experienced personal injury lawyers at Rechtman & Spevak at 888-522-7798 to discuss your unique case and ensure timely legal action. Why Should I Hire Rechtman & Spevak?